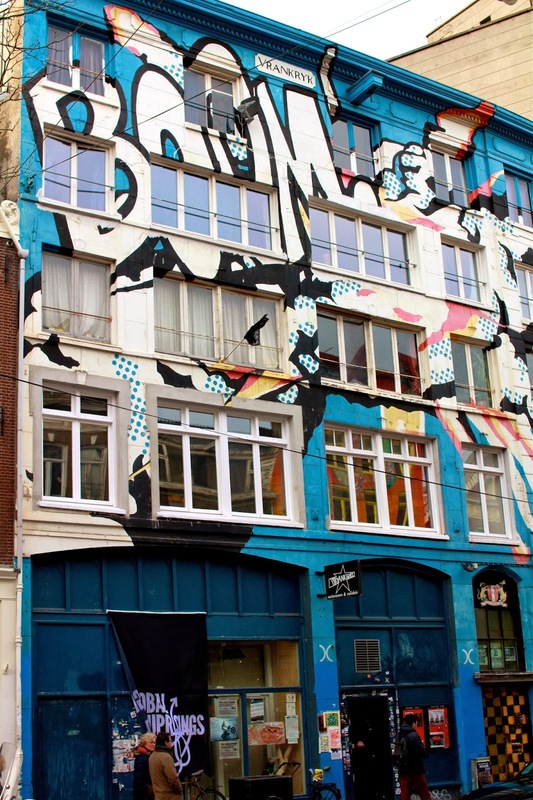 Amsterdam can be classified as unique in many ways, but one of its most distinguishing characteristics is its street art. While I'm not a fan of absentminded graffiti that's created strictly for vandalism's sake, I think the beauty and talent found in real street art is completely underrated. I especially respect the work of artists such as Banksy who address controversial topics in their art, producing images mixed with satire and politics. 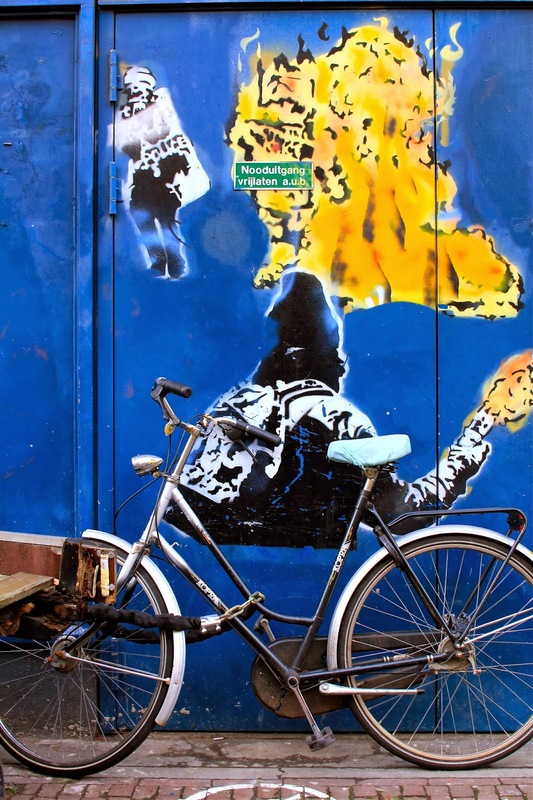 The unusual and polemic street art found in Amsterdam makes the city stand out among others. My favorite street art in Amsterdam is on Spuistraat, right by Dam Square, but other intriguing images can be found scattered throughout the city. I have a newfound appreciation for street art after this trip - so I'll definitely be on the lookout for more this year! 2 comments on "Street Art in Amsterdam"
Gorgeous! I am such a sucker for well-done street art. I didn't notice any when I was in Amsterdam though... guess I have (yet another) reason to go back! with talented exterior wall artisans. So any time I see pictures like these, I just smile, as they remind me of home.